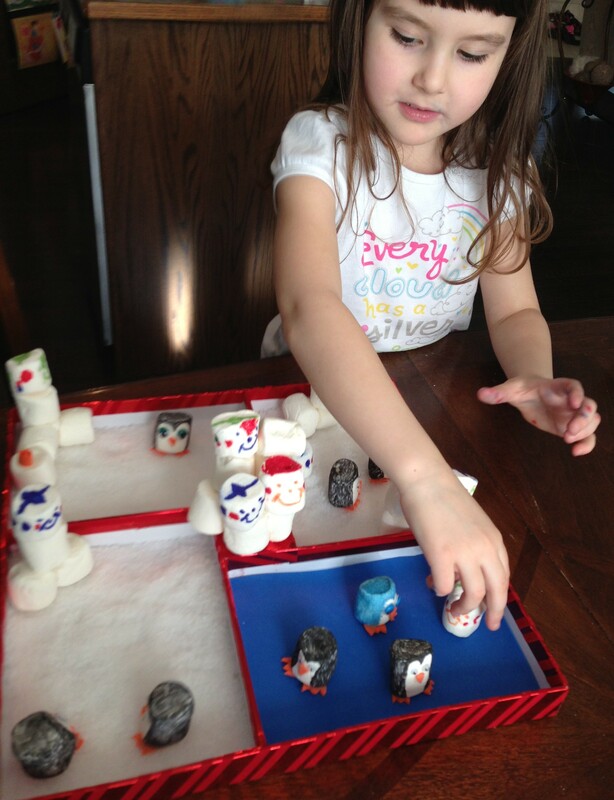 On the topic of sensory play, did I mention that penguins are also on my obsession list. I don’t know what it is about the little guys, but everything penguin is simply adorable. So what better than a sensory playground for them? 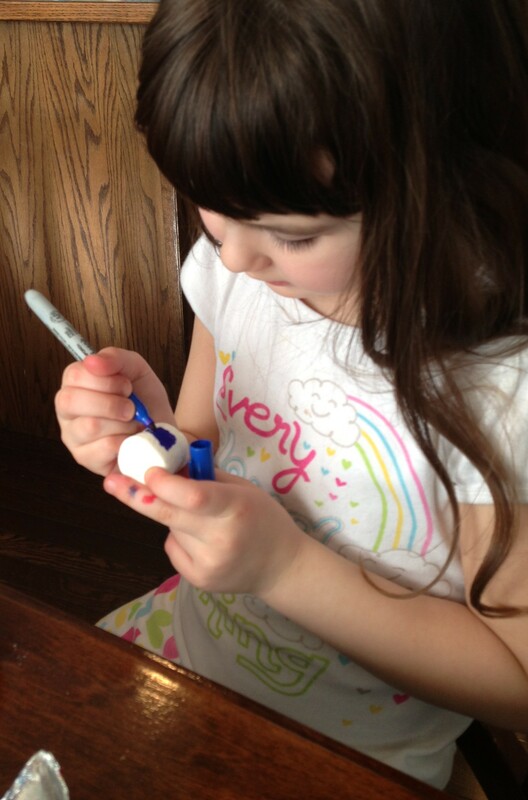 I think my daughter agrees with me that penguins are the bomb. I got the original idea from this blog here. I used a box with dividers, the kind that Christmas cards come in when you buy them in bulk. It worked perfectly because it had little ledges built right in. 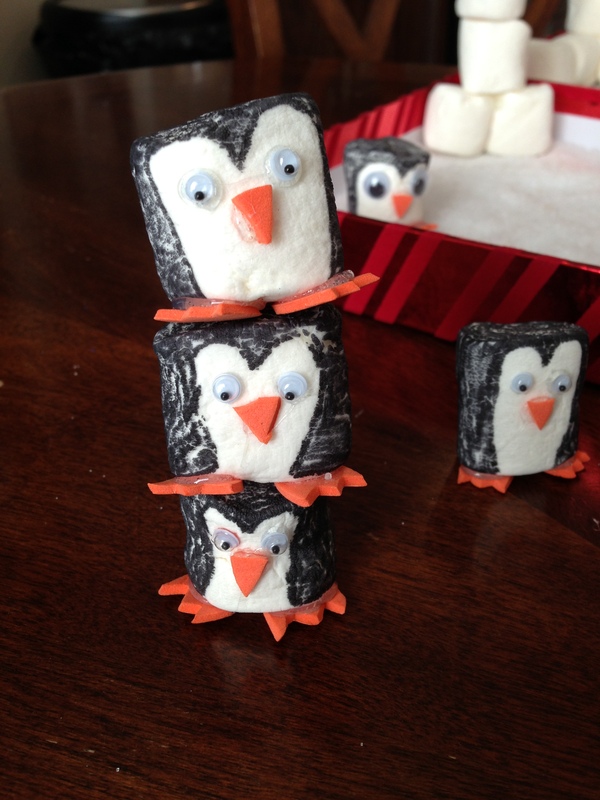 I didn’t know what to make the penguins with at first. I didn’t have any plastic ones like the dinos that we had for the Dinoworld that we made. After some brainstorming, I finally found a bag of marshmallows in the pantry that were indeed hard as a rock. Didn’t I tell you that a lot of the time food products end up in my craft projects? I am not a foodie. Not even a little bit. 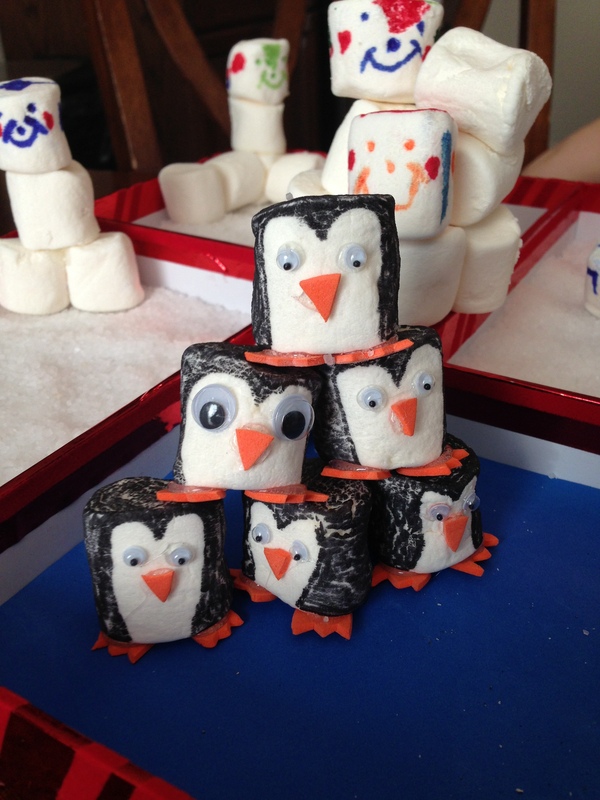 So here are some pics of our marshmallow penguins. Remember, the marshmallows were as hard as rocks. Literally. So they were perfect to colour with permanent marker. And they stack! Haha! 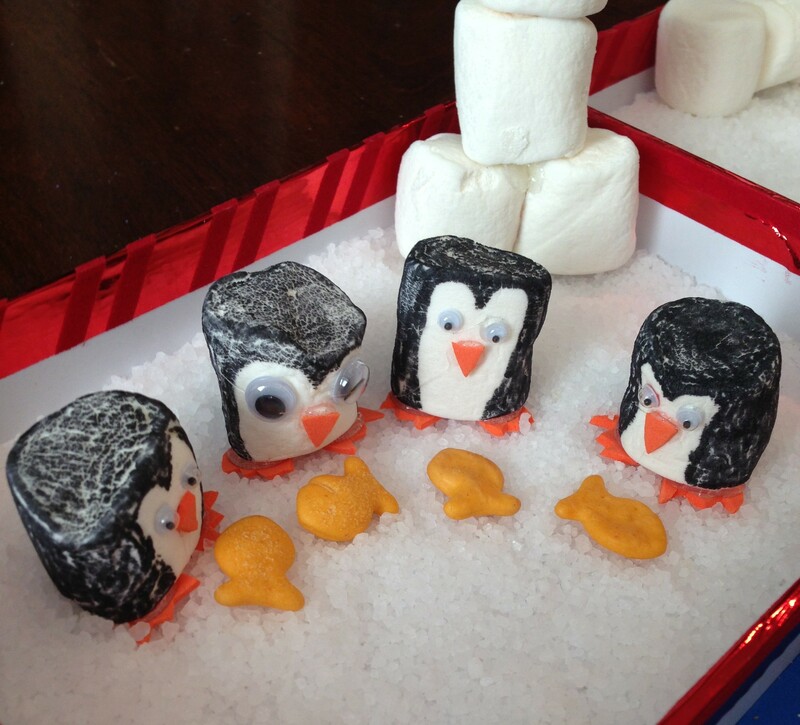 We gave them googly eyes and little orange craft foam beaks and feet. Here are a few that the kiddo made. So cute and lots of fun! 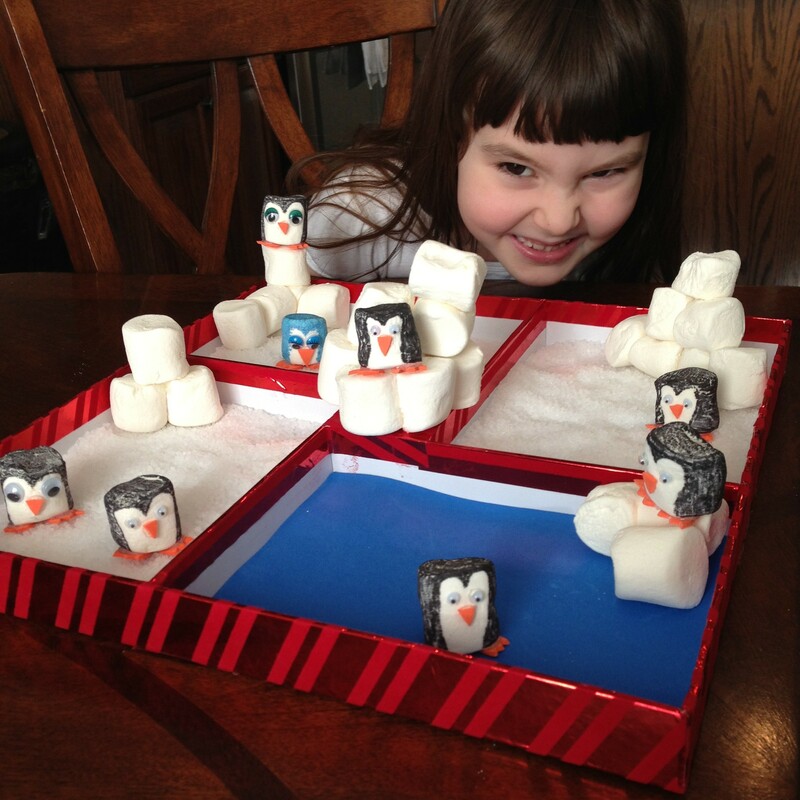 Once the little guys were ready, we gave them some marshmallow ice blocks to play on as well. 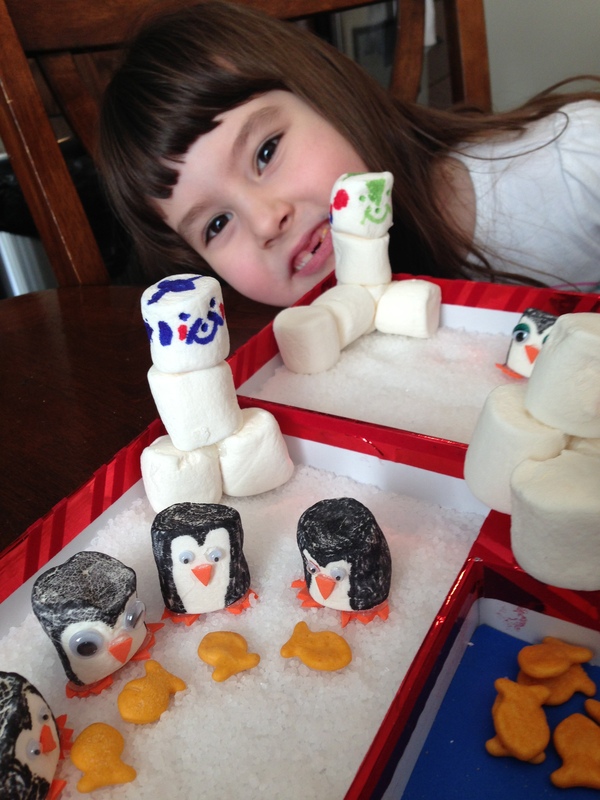 I added kosher salt for snow, which was fun because she could make it snow on the penguins, and some blue craft foam for water. You could use rice for snow if you want. I hope you all love penguins as much as we do. 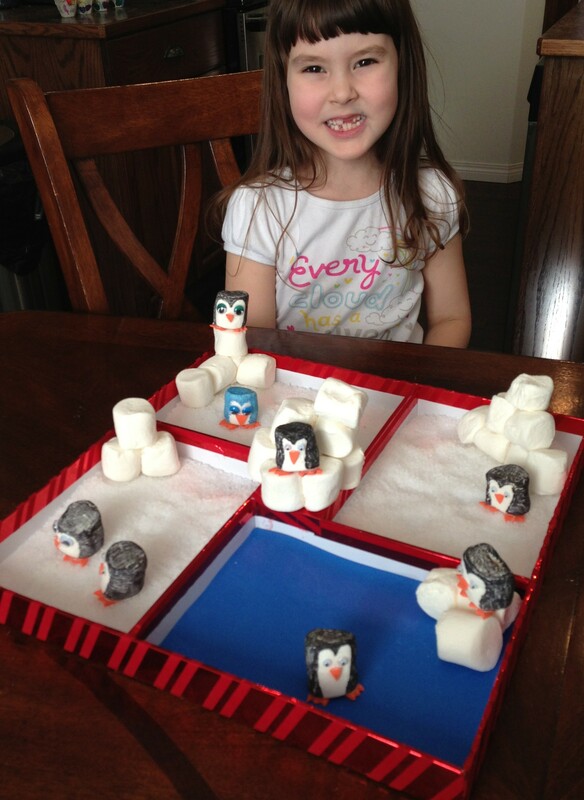 Go ahead, make a penguin world! I mean really, how much fun is this?